08/01/13 - Photo Gallery Update. We Have Updated Our Photo Gallery With New Pictures Sent In From Many Of Our Satisfied Customers. You Can Send Us Yours By Email To junkmailsticker@yahoo.co.uk And We Will Gladly Add Them To Our Gallery. We Are Having An Unofficial JUNKUARY MONTH - In Our RANTS & RAVES PAGE THIS MONTH. So If You Wish To Share Your Rants Just Email @ junkmailsticker@yahoo.co.uk. We Have Noticed Many Signage Business Copying Our Designs On, On-Line Auction Sites. These May Not Be The Same Quality As Our Signs. 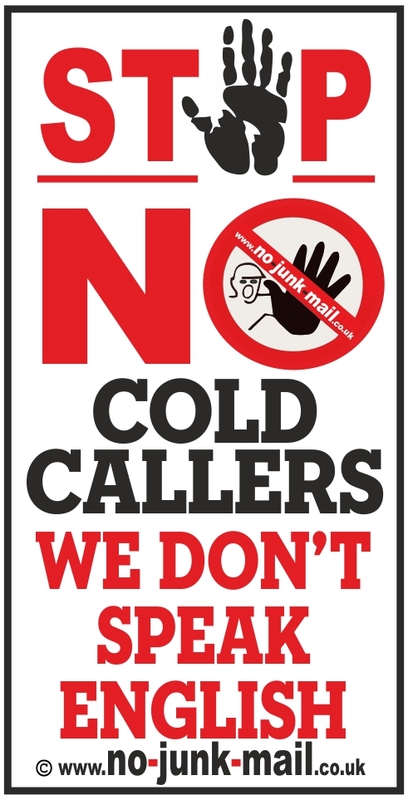 Our Signs Are Regularly Sent To Leaflet Drop Companies Across The UK To Raise The Profile Of Our Own Official Signs And Stickers. Our Legal Department Is Currently Looking In To This Copyright Infringement.